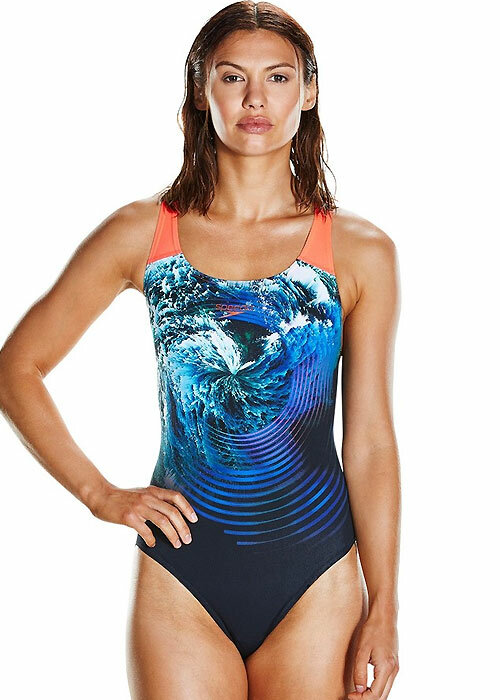 Speedo is all about athletic performance, but it is also a great designer of stunning fashion swimwear too. The Storm is a great fashion piece and it is ideal for giving our gym sessions a stylish side too. It is beautiful and hypnotic, with a classic natural world motif. It is also a practical garment too. This is a quick dry item with a material that is also chlorine resistant, has a powerback design, and is UPF 50+.